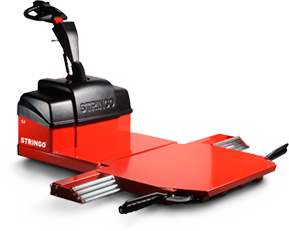 The Stringo S3 is intended for those seeking a powerful vehicle mover that is easy to service and has a long operating time. The machine provides you with a good overview and features the optimal setup for the safe and smooth maneuvering of vehicles weighing up to 3 000 kg. 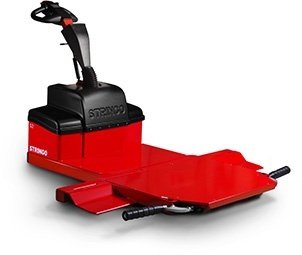 The Stringo S3 is the ideal choice for businesses that have to regularly move vehicles some distance, for example automotive industry testing labs, end-of-line, and larger workshops. 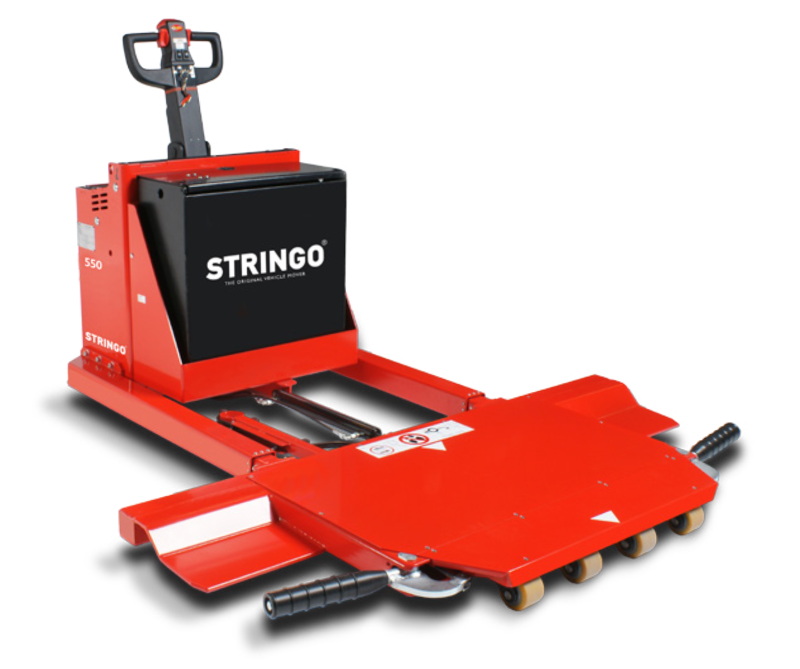 The Stringo S3 is also a wise choice for dealer showrooms and businesses that handle heavier and larger SUVs weighing between 2 000 and 3 000 kg. 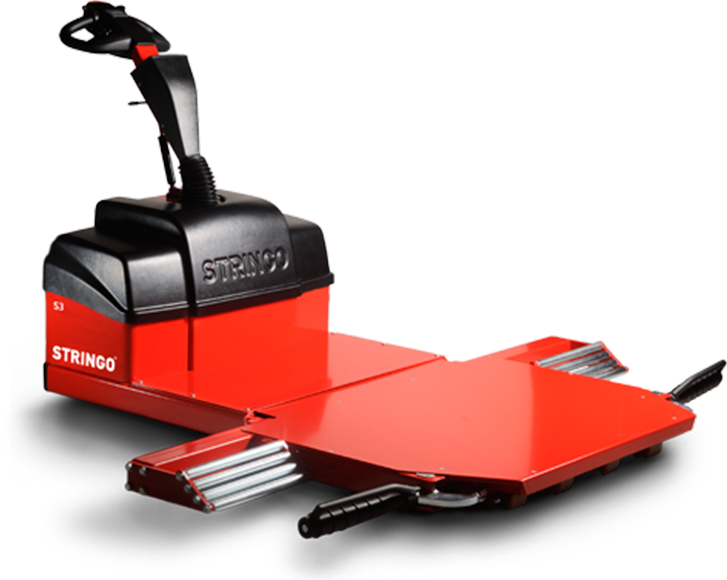 With an operating time of ten hours and a battery and a motor with minimal maintenance requirements, the Stringo S3 is a tough work tool. Our wide range of accessories means we are able to adapt the machine to suit your specific requirements. S3 is available with hydraulic cylinder for greater power and it allows a lower ground clearance for really low cars. Other advantages include the modern design of the S range of machines, which has resulted in safer working practices and an improved working posture for the operator. The low drive unit provides excellent visibility during both loading and unloading. For over two decades now, we have focused on just one thing – moving vehicles as efficiently, easily and safely as possible. We leave nothing to chance, which is evident in our Stringo S3 model.